Now, athletes, coaches and referees can gain specific knowledge necessary for a more effective and safe training, competitions according to international standards. Testing of athletes and the creation of training programs based on exact data of innovative equipment for the measurement of strength, speed and endurance of certain muscle groups in an environment as close to real combat such as Mazurenko ARM (Angle Rush Meter). Propaganda of armwrestling as a sport discipline among young people. 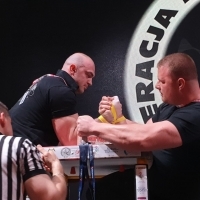 Igor Mazurenko said that the main goal of the Academy is a recognition of armwrestling as a sports discipline worldwide and raising interest in this sports discipline. - Through our programs, in a few years, armwrestling can enter every home, every family through the TV screen, through schoolwork and even through special university programs - said Igor Mazurenko - "Over the years of development, we have developed high armwrestling standards as pure discipline of sport and now it's time to bring them to the widest possible audience. We invite enthusiasts, schools, universities, community organizations, all who are interested in armwrestling and needs support. Training takes place in both live seminars and online. To get more information regarding Academy of Armwrestling work, you can access PAL by e-mail: kirill@wac-armwresling.com. AAF and PAL to create a national team of the United States Armwrestling to participate in the World Games!